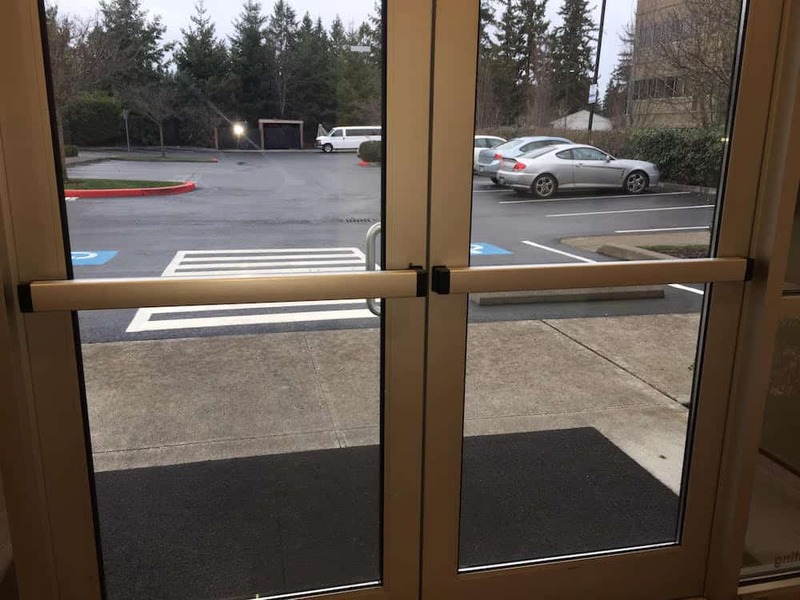 Corbin Russwin exit devices designed to allow safe and easy egress, ideal for high traffic use such as schools, hotels, theaters, offices, retail complexes and government buildings. 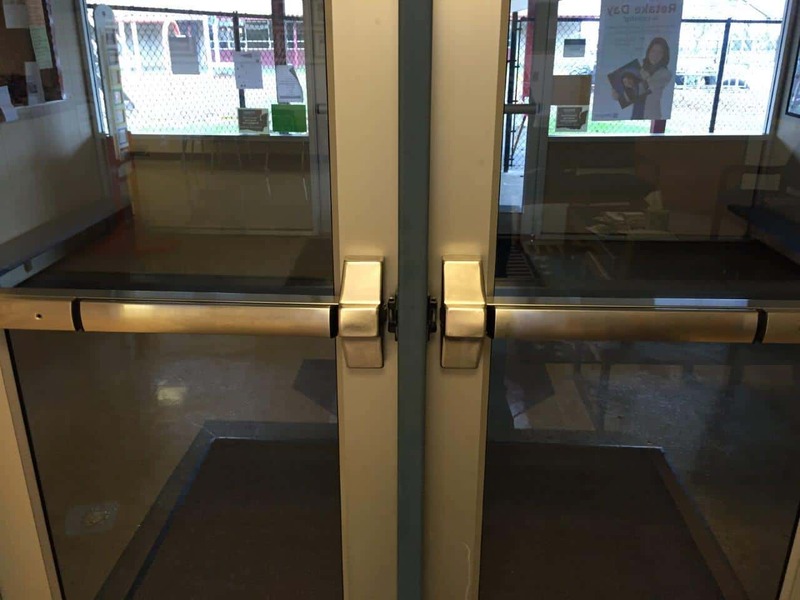 Von Duprin exit devices are made for heavy traffic applications. Each device is provided with hydraulic damper that reduces noise and absorbs shock to protect internal mechanism. 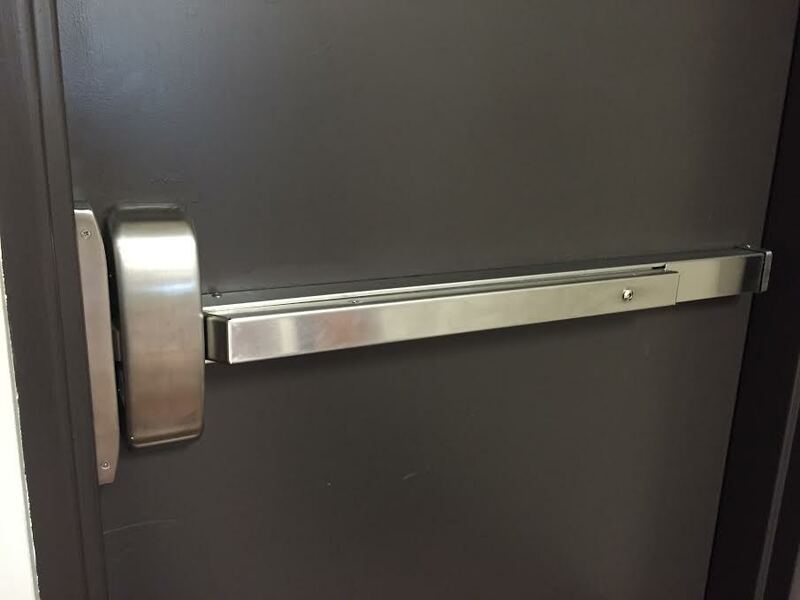 Sargent exit devices designed for standard width stile applications on wood and metal doors. This reversible rim exit device sets the industry standard for durability and reliability. 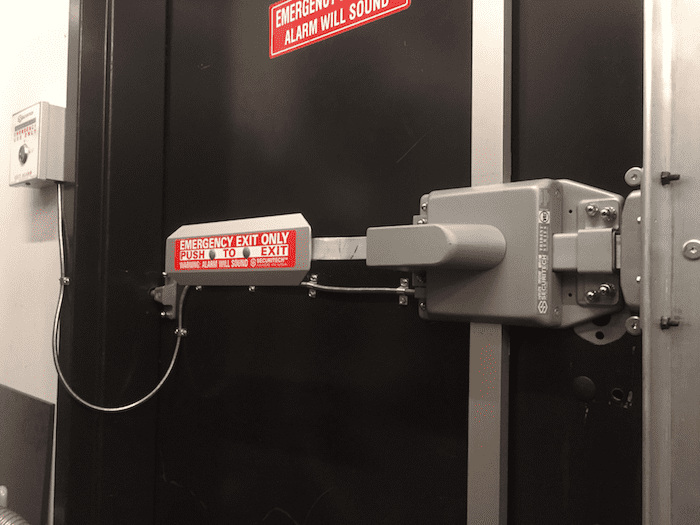 From retail, restaurant, school, hospital, manufacturing, warehouse or office building, Detex can provide the exact solutions required to protect the lives and property in your building. 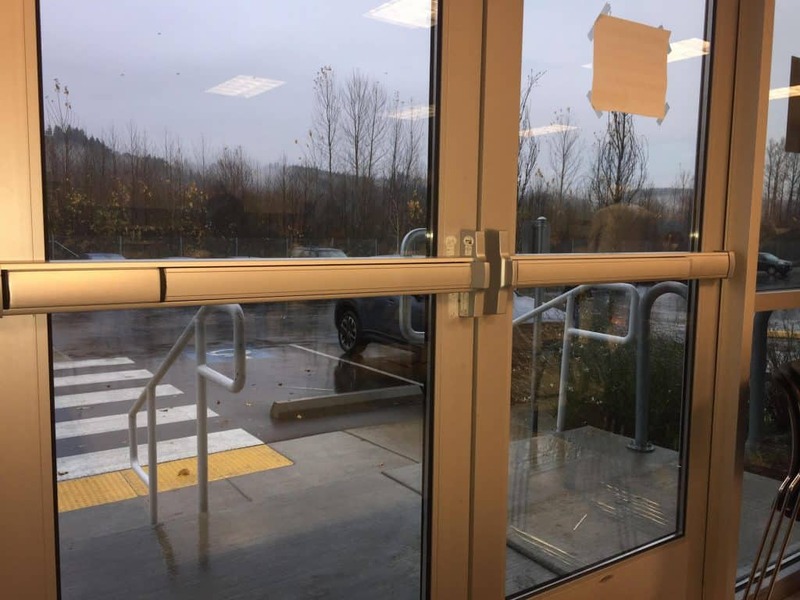 The Marks USA heavy duty exit devices are sturdily made for high traffic applications to withstand high-impact abuse and last when there is an extreme amount of punishment. 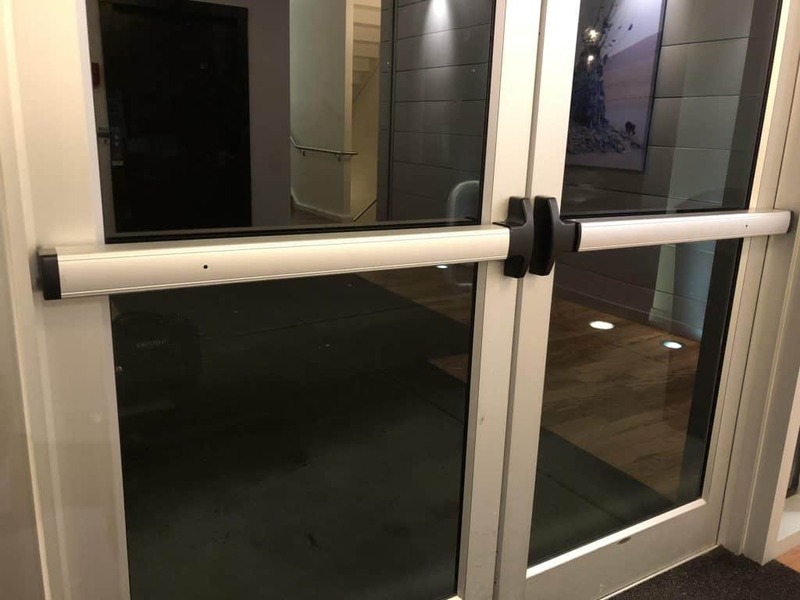 Securitech is made for applications that require the Highest Security, but still complies with Fire Code and provides the BEST breakin-in protection then any other product. 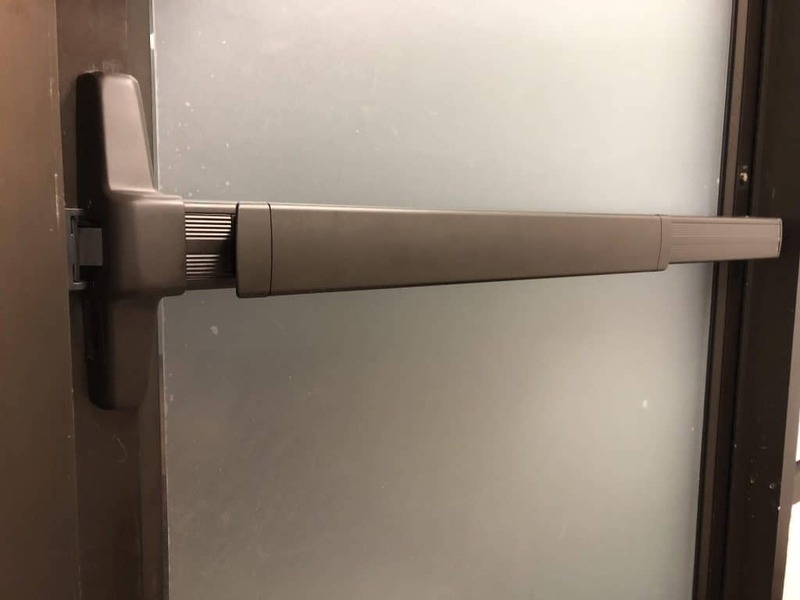 Adams Rite exit device designed for narrow stile aluminum glass doors. Unobtrusive design for clean sight lines. 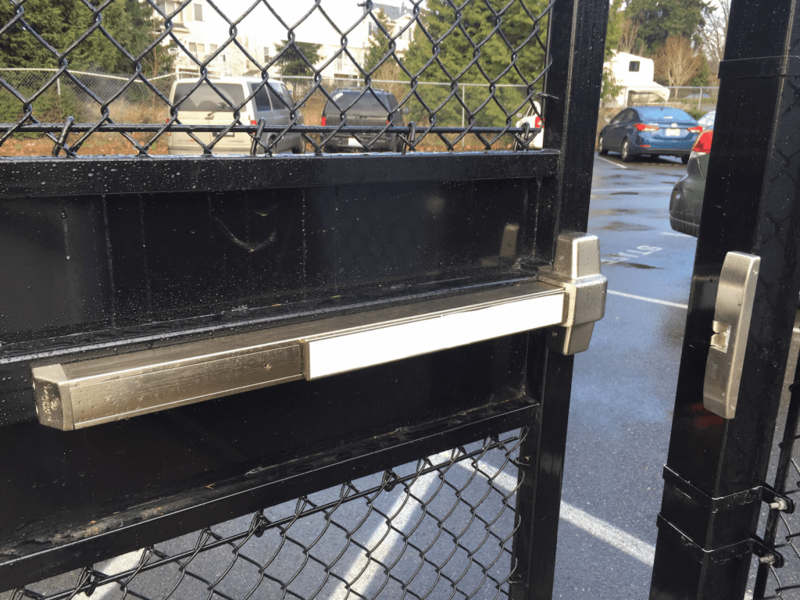 Easy to install, strong, durable construction for a high level of security. 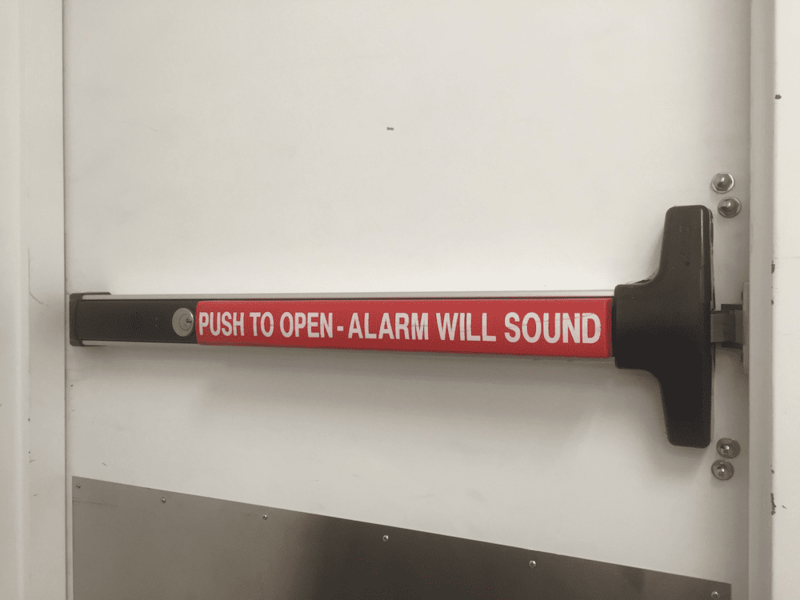 Falcon exit device is ideal for moderate-traffic applications. 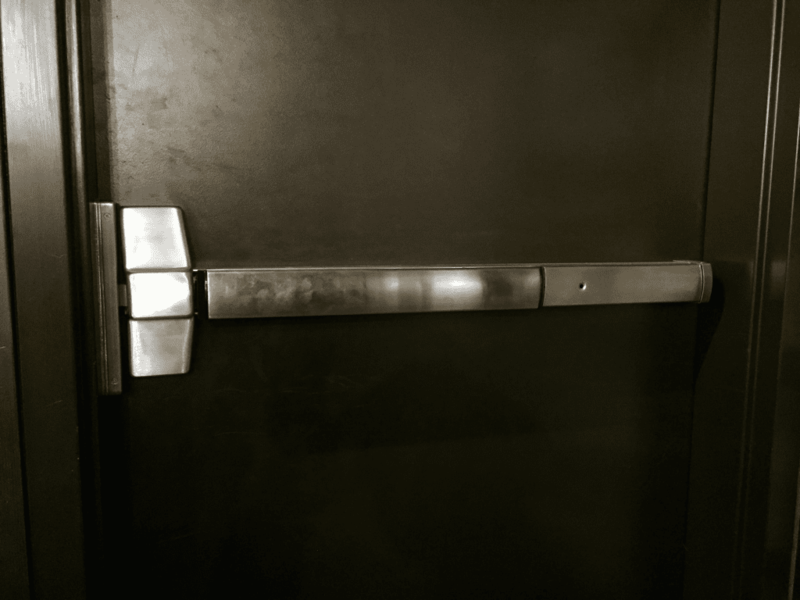 It provides dependable performance and economical pricing, making it a popular choice where exit device is required.